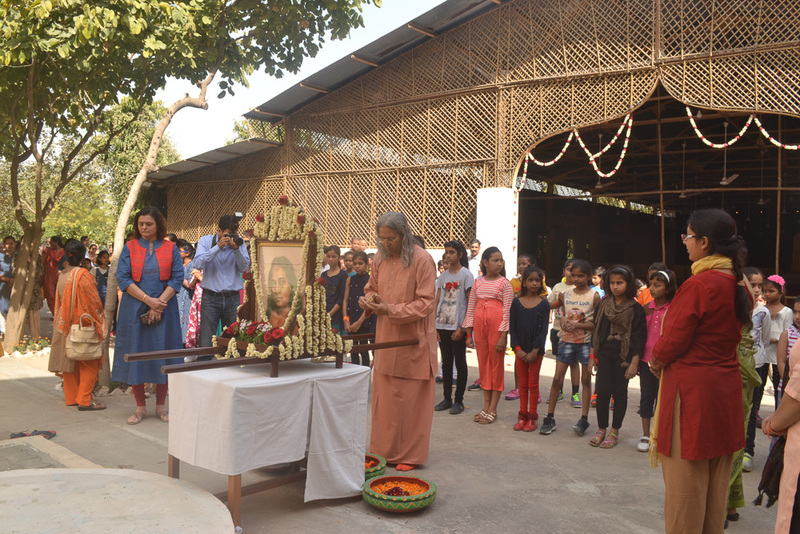 The Foundation Day of Yogoda Satsanga Society of India (YSS) – which falls on March 22 – is also an occasion that is celebrated as the annual function of Children Satsanga of NCR, bringing together children from YSS Noida ashram, Delhi Kendra, Gurugram Kendra and Paramahansa Yogananda Swarna Bal Vatika (PYSBV) in Noida. 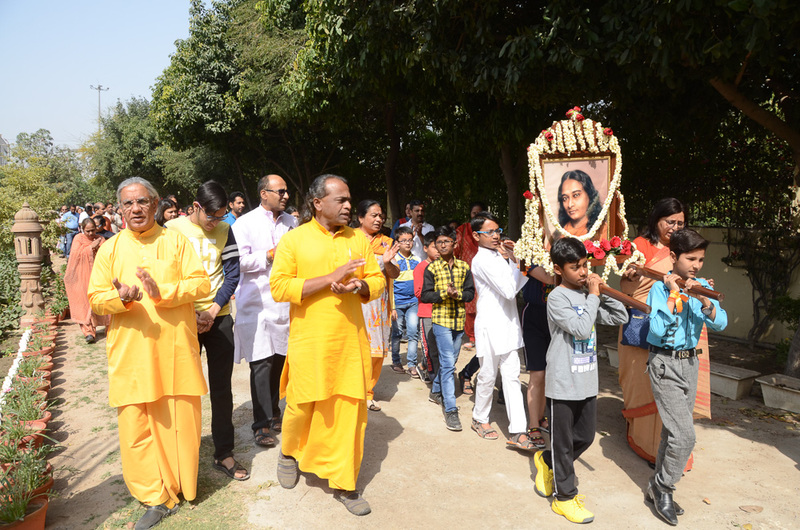 This year, too, it was celebrated on Sunday, March 24, with the Children Sunday Satsangas of Noida, Delhi and Gurugram, along with PYSBV-Noida kids. The day-long programme was attended by 135 Children along with 80 parents and 40 volunteers from NCR. The little ones started assembling in the ashram since morning. They were registered for the programme and provided with badges of various colours according to their respective age groups. This would help facilitate their participation in the games later in the day. Beginning with the Energization Exercises, the children proceeded for the Prabhat Feri. The palki of Gurudeva Sri Sri Paramahansa Yogananda adorned with floral decorations was first carried by YSS sannyasis – Swami Vasudevananda and Brahmacharis Sheelananda, Alokananda and Vinayananda. 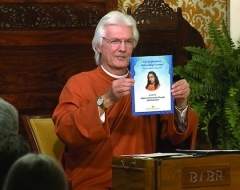 It was then handed over to the little angels who joyously chanted as the procession moved along the designated path of the Feri, performing kirtan and chanting jaikaras (names) of the YSS line of Gurus. After the Prabhat Feri, the divine gathering moved to the pandal. The programme began with an opening prayer, chanting, and a brief group meditation, followed by an orientation for the line-up of the day’s activities. Finally, it was time for the most-awaited part of the day – the sports activities. The excited lot of young devotees were ushered towards the exercise lawns which had been prepared ahead of the event with line markings. Brahamchari Sheelananda inaugurated the games with the first race for the ‘sub-junior’ group who had to compete for the top spot in a simple race. 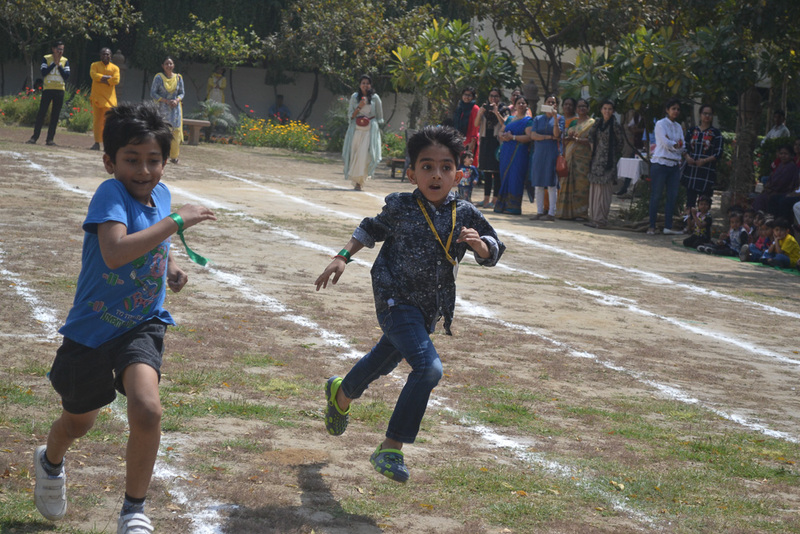 Various groups of children participated in competitions like the sack race, the relay race and simple races, followed by a ‘balance-the-book’ race for volunteers. The harsh sun and intense heat could not douse the enthusiasm of these young participants. The games were enjoyed by all the players supported by the equally thrilled spectators who cheered for them. At the close of this session, the winners were felicitated by Brahmachari Sheelananda. Refreshments like lemon water were provided to the children. This was followed by a break of two hours – during which, they rehearsed their parts for the next show, had lunch and also got dressed for the programme. 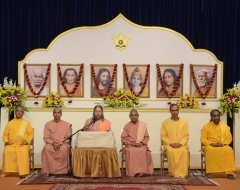 The afternoon session began with an opening prayer and chanting by the Children Satsanga group from YSS Gurugram Kendra, which provided a glimpse of the regular activities of a Children Sunday Satsanga programme – including chanting, breathing exercises, a brief short meditation of three to four minutes and affirmation. Kids from YSS Noida Ashram’s Children Sunday Satsanga anchored the programme in which they provided information about YSS, its foundation day, and our line of Gurus, among other things. The presentations included the performance of Saraswati Vandana, Geeta Shlokas, a presentation on Guruji’s poem ‘God’s Boatman’, the 26 qualities of a devotee mentioned in the Bhagavad Gita, a comic act on beating stress through meditation, a skit on Niraharini Yogin from the Autobiography of a Yogi, and a few other performances were made by children from all the YSS NCR centres and PYSBV. 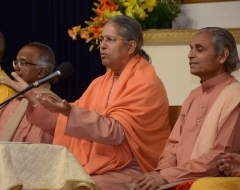 The programme came to a close with the distribution of presents to the participants by Swami Vasudevananda and Brahmachari Sheelananda. These included a framed version of Guruji’s prayer before food.